[PDF] French Girl Knits Accessories: Modern Designs for a Beautiful Life | Free eBooks Download - EBOOKEE! Description: From the author of French Girl Knits comes a collection of signature French-inspired and feminine knit accessories. Kristeen Griffin-Grimes brings to life her signature aesthetic through timeless techniques for a stunning encore knitted pattern book. Organized into vignettes that travel from morning to night, these captivating projects invite knitters to imagine their own daily lives enhanced by these lovely designs. French Girl Knits Accessories includes sixteen intermediate-level knitting projects covering a full range of accessories for women. Designed with French savoir-faire, the projects include shrugs, hats, gloves and mittens, wraps and stoles, and socks and slippers. Want to add more romance with lace and ribbon? Desire a perfect pleat or fold? Sidebars and techniques include simple how-tos for these details and more. Throughout this collection of small projects, you'll find an emphasis on clean modern lines and style woven with vintage and romantic fashion inspiration. 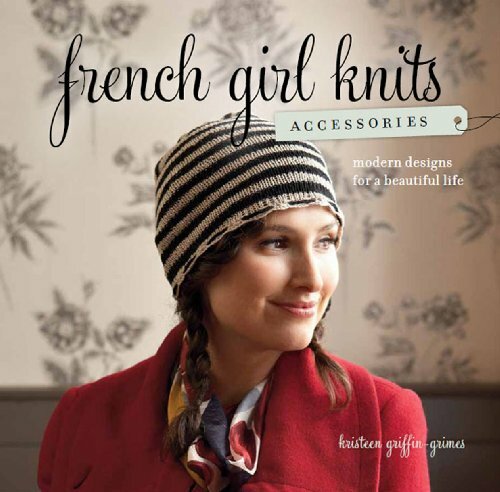 No comments for "[PDF] French Girl Knits Accessories: Modern Designs for a Beautiful Life".